Never lose an invoice again. 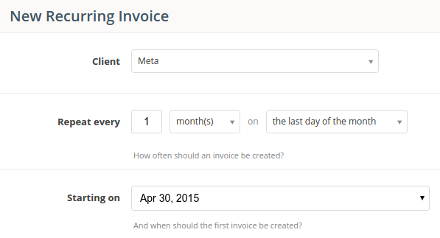 Automatically create invoices from the work you've logged. Receive email notifications when your invoices are overdue. Paydirt makes getting paid simple, and saves you hours in the process. Create invoices in seconds Automatically draft an invoice from the work you've logged. Send it to your client as a PDF in a click. Trust me, you won't miss doing this manually. 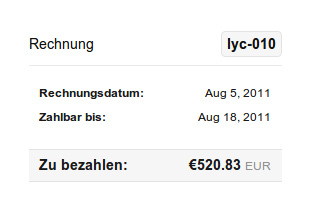 Visit our Free Invoice Template to try out Paydirt's visual invoice composition. Your unpaid, overdue and draft invoices are always at your fingertips. See how much is owing at a glance. Late invoices are a fact of life. Paydirt makes following them up a breeze. 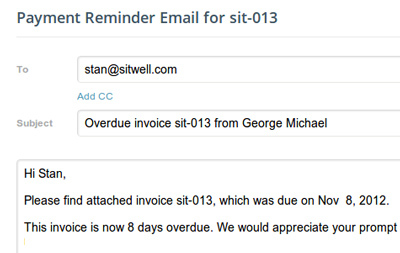 You'll receive an email notification if an invoice goes unpaid, and you can remind your client about it in one click. Paydirt can create invoices in 52 currencies and 17 languages. Need to send a Rechnung, or a Facture? We've got you covered. 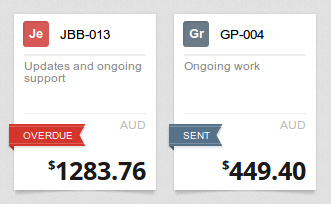 Your clients can view your invoices online, see how much is outstanding, and download a PDF or printed copy. They can even pay your invoices by credit card. Invoice regularly? Paydirt can automatically create your regular invoices at flexible intervals, and emails you when a new invoice is created for you to review and send. 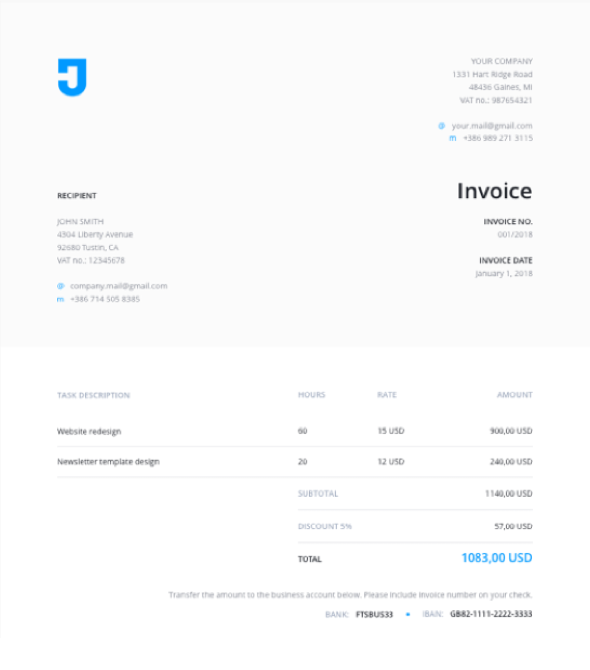 Start invoicing like a pro with Paydirt.